Non-native garden plants constitute a considerable pool for biological invasions and many current invasive plants have started in gardens. 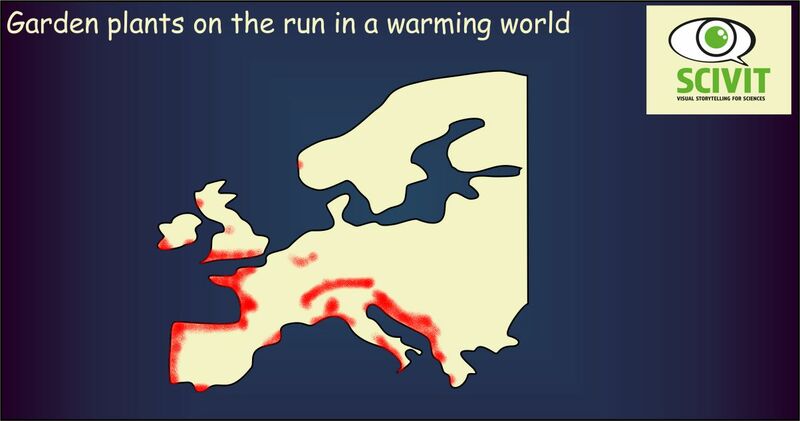 How will the risk of such invasions in Europe be affected by climate change? Dullinger and colleagues studied the native range of 783 European non-native garden plants which already had managed to naturalize at other locations. To which extent are climatic requirements of these plants met in Europe under various climate scenarios? Answers to this question resulted in potential distributions of the plants in question. To generate a more general picture the authors searched for naturalization hotspots, i.e. for areas, where climatic conditions allowed the naturalization of many non-native garden plants. To identify areas particularly at risk of biological invasions, they also evaluated the frequency of gardens in the observed naturalization hotspots. Europe appears suitable for the naturalization of a number of garden plants even today, with particular hotspots in the southern (adriatic coastal areas of Croatia) and western parts (Southern England, Atlantic coastal areas of France, Spain and Portugal). Warming temperatures will favour plants from nemoral and laurophyllous zones, but disfavour those from boreal and mediterranean zones. More important, however, is the observation that the size of naturalization hotspots zones will increase under climate change. These zones will also shift from their current (Southern and Western) locations towards the North and the East.